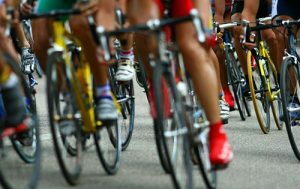 The U.S. Anti-Doping Agency (USADA) announced today that cycling athlete, Tammy Thomas, of Ridgeland, Miss., is entitled to a reduction in her suspension due to a change in the applicable rules. Thomas served more than 14 years of her original lifetime period of ineligibility that began on August 31, 2002. Thomas received her lifetime period of ineligibility from the American Arbitration Association under the then applicable rules as a result of her second doping offense after testing positive for an anabolic agent during an out-of-competition test on March 14, 2002. Thomas’ sanction was imposed prior to the August 2004 implementation of the World Anti-Doping Code (the Code), the uniform set of anti‐doping rules that have now been adopted by International Federations worldwide, including the International Cycling Union (UCI). Under the 2015 Code, eight years, as opposed to a lifetime ban, is the maximum period of ineligibility that can be imposed for a second anti‐doping rule violation involving the use and presence of an anabolic agent. To account for policy changes in the 2015 Code, athletes may apply for a reduced sanction if they are serving lengthier sanctions than permitted under the 2015 Code. In addition to the rule change for her violation, Thomas’ application documented her acceptance of responsibility and her recent public actions to discourage others from using prohibited substances by speaking about her past mistakes to a variety of civic groups. Based on the change in maximum sanction length under the 2015 WADA Code and her application, USADA determined that a reduced sanction is a fair and just outcome and will terminate Thomas’s period of ineligibility as of February 28, 2017. “Although Ms. Thomas denied doping throughout the adjudication process, she has since publicly admitted that she used performance-enhancing drugs and has worked to prevent doping among other athletes. Given the current regulations, it is fair to end her suspension after 14 years, which is well after the eight-year maximum sanction length that would be considered for her case today,” said Travis T. Tygart, CEO of USADA. In an effort to aid athletes, as well as all support team members such as parents and coaches, in understanding the rules applicable to them, USADA provides comprehensive instruction on its website on the testing process and prohibited substances, how to obtain permission to use a necessary medication, and the risks and dangers of taking supplements as well as performance-enhancing and psychoactive drugs. In addition, USADA manages a drug reference hotline, Global Drug Reference Online (www.GlobalDRO.com), conducts educational sessions with National Governing Bodies and their athletes, and proactively distributes a multitude of educational materials, such as the Prohibited List, easy-reference wallet cards, periodic newsletters, and protocol and policy reference documentation. USADA is responsible for the testing and results management process for athletes in the U.S. Olympic and Paralympic Movement, including foreign athletes competing, training, or living in the U.S. USADA is equally dedicated to preserving the integrity of sport through research initiatives and educational programs.